SYRACUSE — A Logan man accused of shooting and killing his wife in Logan was arrested in Syracuse early Sunday morning. Meigs County Sheriff Keith O. Wood stated, in a news release, that on Sunday at approximately 2:43 a.m. his office received a call from a residence in Syracuse stating that a family member from Logan, Ohio, had shown up at their residence reportedly stating that he had shot his wife in Logan, Ohio. Deputies responded to the residence in Syracuse and the suspect was taken into custody. During this time it was confirmed through the Logan Police Department that a female victim was found to be deceased inside of her residence in Logan, Ohio. A firearm was recovered from the suspect along with numerous other pieces of physical evidence, stated Wood. Sheriff Wood stated that the suspect has been identified as George C. Cooper Jr, 50, of Logan, Ohio, and the victim has been identified as Mary J. Cooper, 37, of Logan, Ohio. Mary J. Cooper was the wife of George C. Cooper Jr. 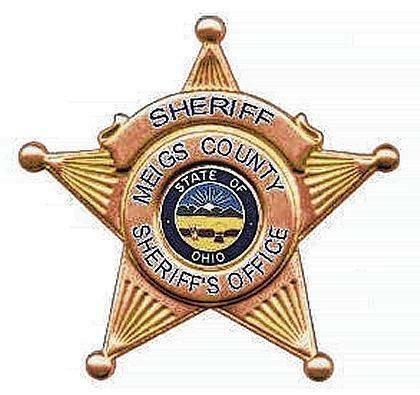 According to a news release from the Logan Police Department, at approximately 3 a.m., Sunday, the Hocking County Sheriff’s Office relayed information to the Logan Police Department that they received from the Meigs County Sheriff’s Office regarding a possible shooting that occurred in the city of Logan, earlier that morning. Several patrol units from the Logan Police Department and Hocking County Sheriff’s Office arrived at a residence on Freisner Avenue in Logan. Upon arrival, they attempted to contact any occupants inside but received no response. Responding units forcibly entered the residence and discovered a 37-year-old female deceased. Preliminary reports indicate the female died from gunshot wounds. There were no other individuals found inside the home. Detectives from the Logan Police Department, Hocking County Coroner, Dr. Dave Cummin and the Ohio Bureau of Criminal Investigation Crime Scene Unit subsequently arrived at the residence to process the crime scene. The body of the female was transported to the Montgomery County Coroner’s Office for an Autopsy. George Cooper Jr. is currently incarcerated in the Southeastern Regional Jail in Nelsonville, Ohio, and a single charge of Fugitive from Justice has been filed. Cooper is awaiting a court hearing in the Meigs County Court and charges have been filed in Hocking County for Murder, Tampering with Evidence, and Possessing Criminal Tools. Mary Cooper was the mother of four children and all are safe and in the custody of family members, according to Logan PD. Sheriff Wood thanked the Middleport Police Department and Pomeroy Police Department for their assistance.